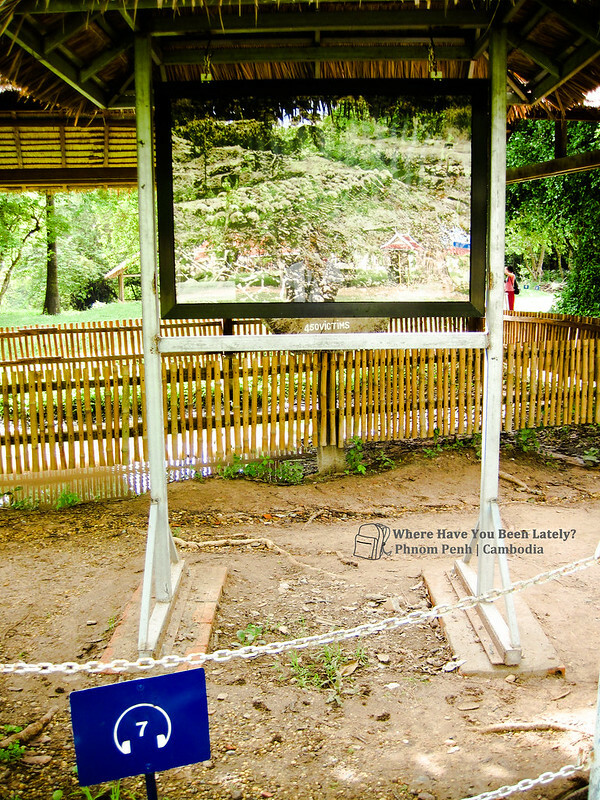 Overview of the Killing Fields | Where Have You Been Lately? 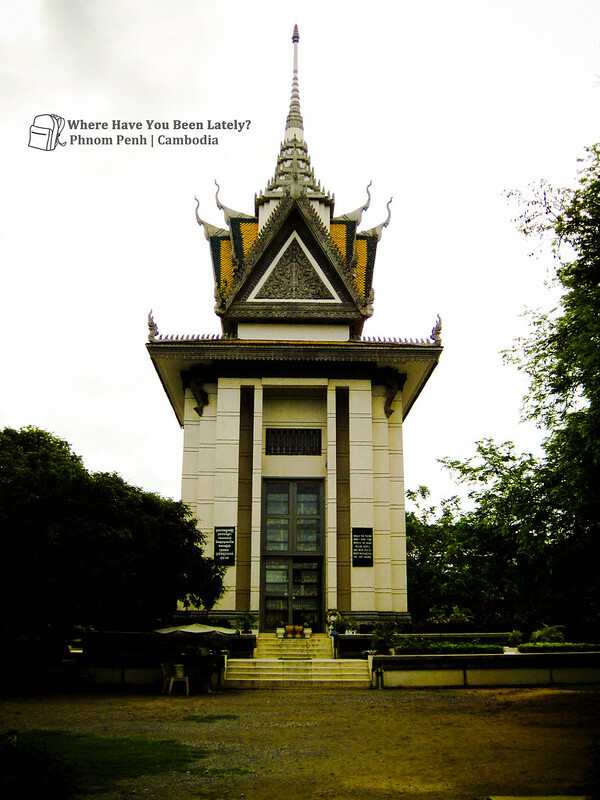 If you feel like skipping Phnom Penh as part of your upcoming Cambodia trip because of its depressing and tragic past, let me then give you a rundown of what you’ll be missing. 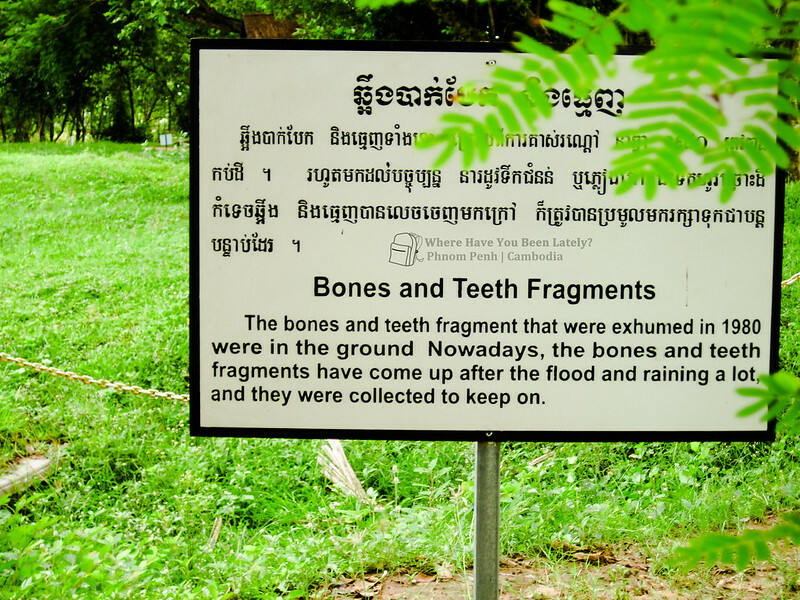 Especially in the Choeung Ek Genocidal Center aka The Killing Fields, the part that says a lot about the dark period of Kampuchea. The genocidal center is divided into 19 parts that are thoroughly explained in the audio guide you will be given upon arrival. I found a recorded script of the audio guide by the Cambodia Tribunal, which I hope you’d take time to read as well. Stop 1 : Introduction and walk to Stop 2 — Nearly half of the eight million Cambodians died under Pol Pot’s regime, 20,000 of which were murdered right here in Choeung Ek. 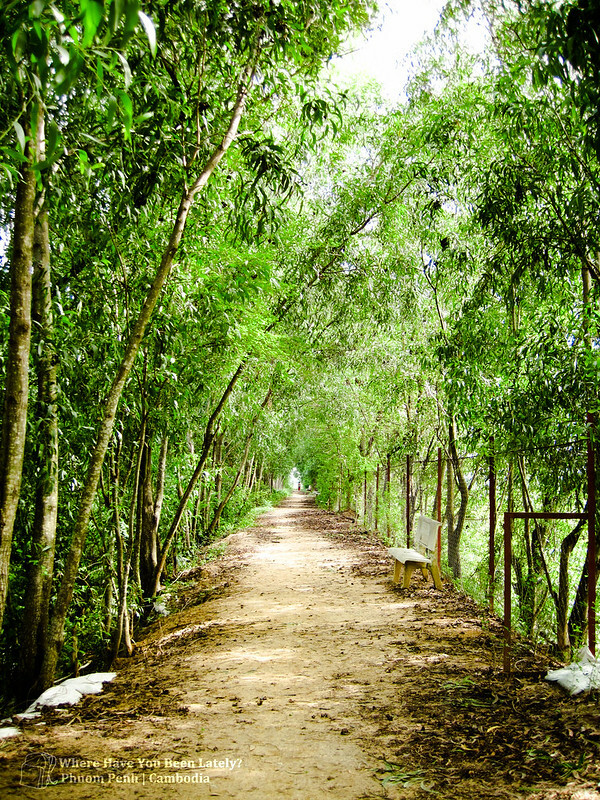 Stop 2 Sign : Truck Stop — All victims of the genocide were brought in Choeung Ek by trucks. At some point, as many as 300 each day were transfered here then executed immediately. Stop 3 Sign : Dark and Gloomy Detention — Once a building were prisoners were killed, one by one. The building had no windows, lightning, and had thick walls which muffed the sound of screams of the victims. 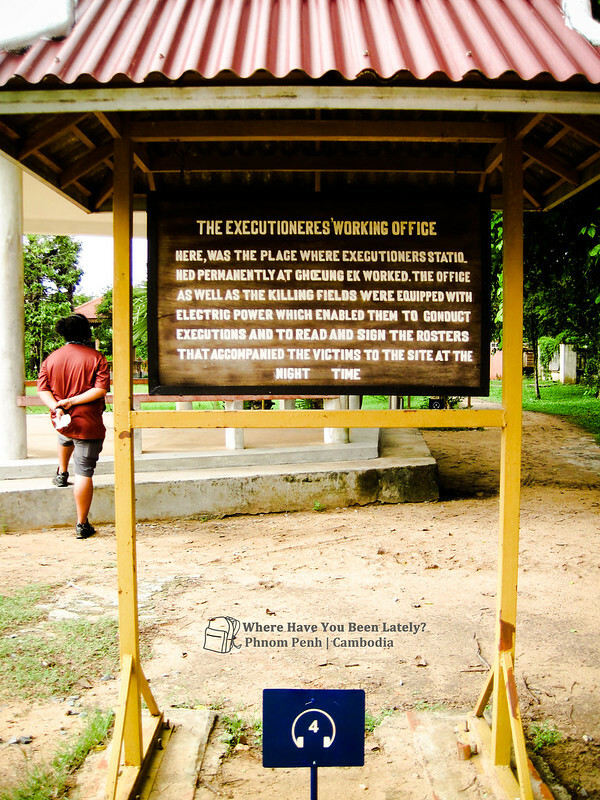 Stop 4 Sign Board : The Executioners’ Working Office — The record-keeping office which was destroyed by the Vietnamese and opposing Cambodians. This was where the victims of the genocide signed their own death warrants. 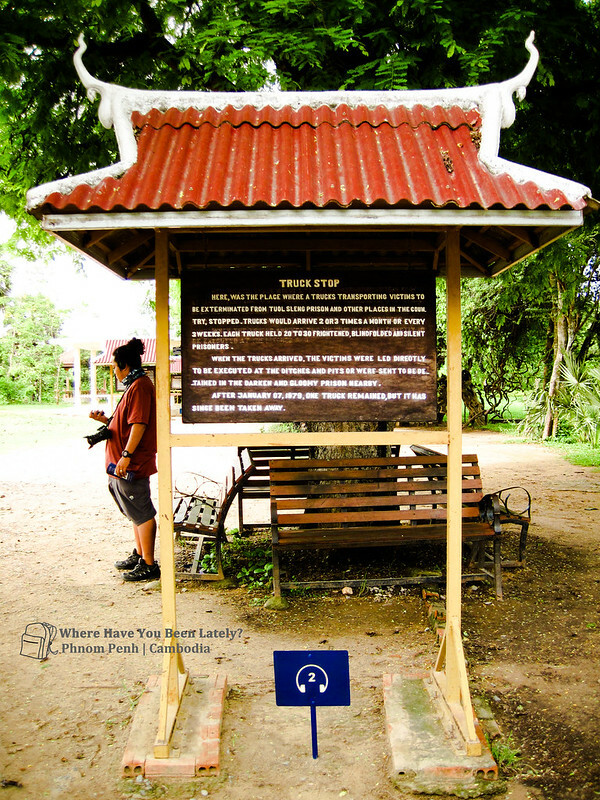 Stop 5 : Former Ceremonial Kiosk used by local Chinese community — Choeung Ek used to be a Chinese graveyard far away from the city proper reason why it was chosen by the Khmer Rouge as the location of their executions. 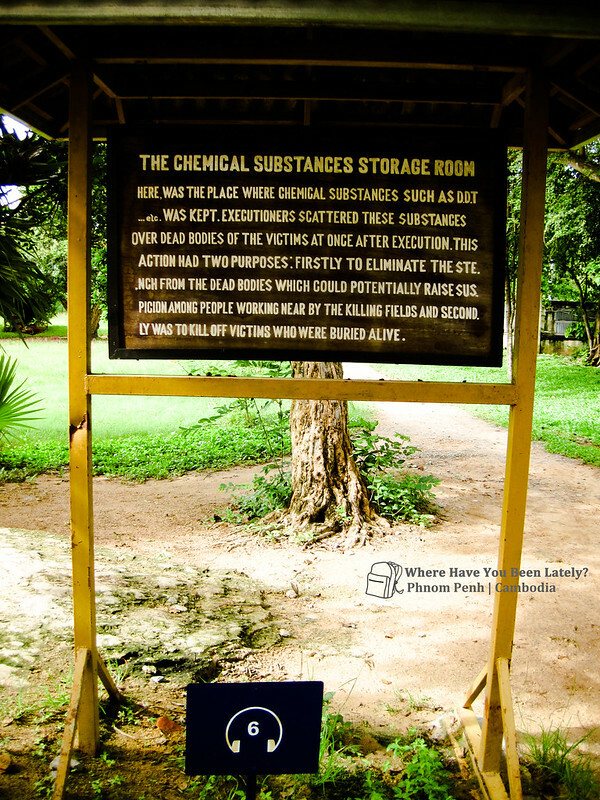 Stop 6 Sign : Chemical Substances Storage Room — This was where the chemical substance called DDT was kept, which was used to finish off the lives of the victims who miraculously survived the executions. 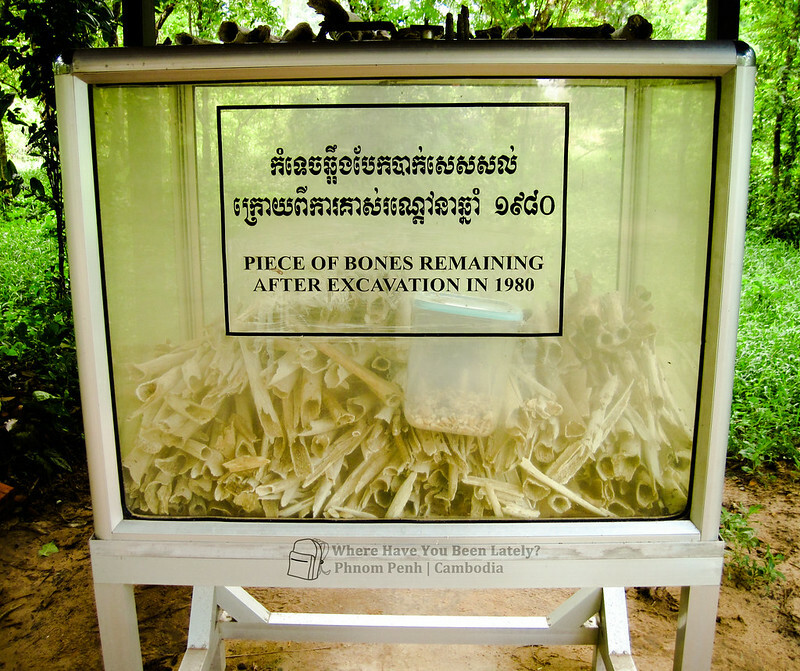 Stop 7 Mass Grave : 450 Victims — This is one of the biggest among the 129 graves that were discovered after the Khmer Rouge regime where 450 bodies were uncovered. 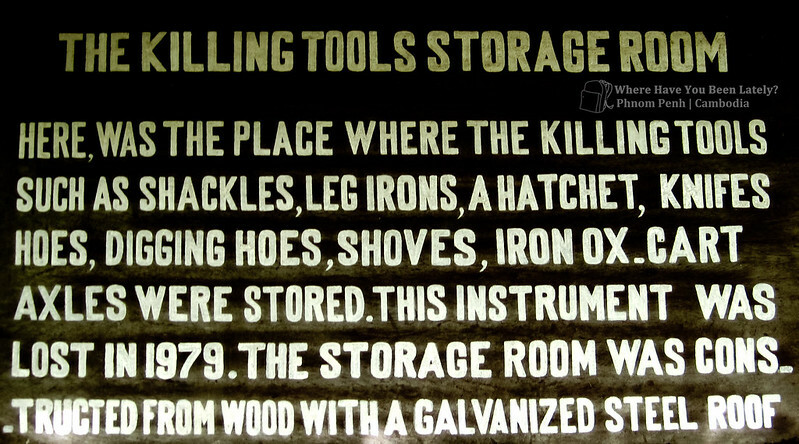 Stop 8 Sign : Killing Tools Storage Room — Axes, hoes, cart axles, bamboo poles, hammers, and machetes were just some of the killing tools that were stored in this room. Stop 9 : Chinese Grave / Bones and Teeth Fragments — Remains of the victims still appear to the surface every after rain because of the shifting of the soil. It is requested that these not be touched or removed. Stop 10 : Longan Orchard — Cambodians during the Kampuchea government were forced to work to death here in this very orchard. 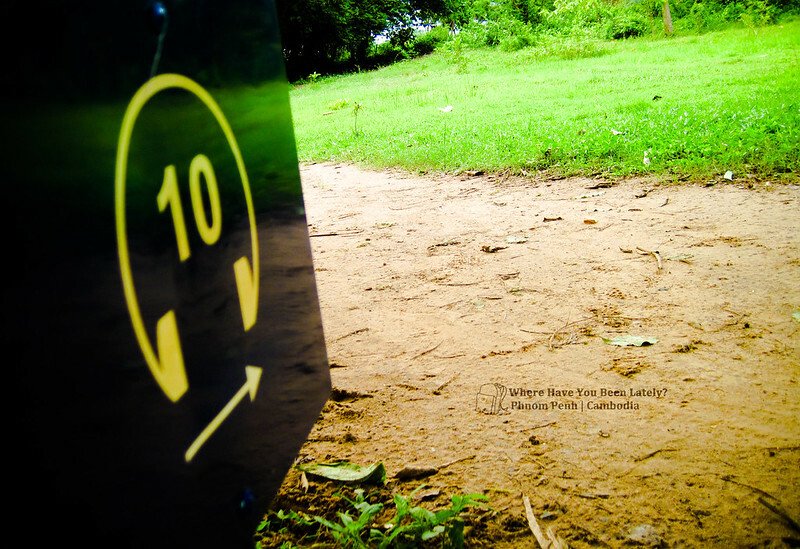 Stop 11 Walk on path by lake : Music and Memories — This path leads to 40 other graves that remained undisturbed to let the victims remain in peace. 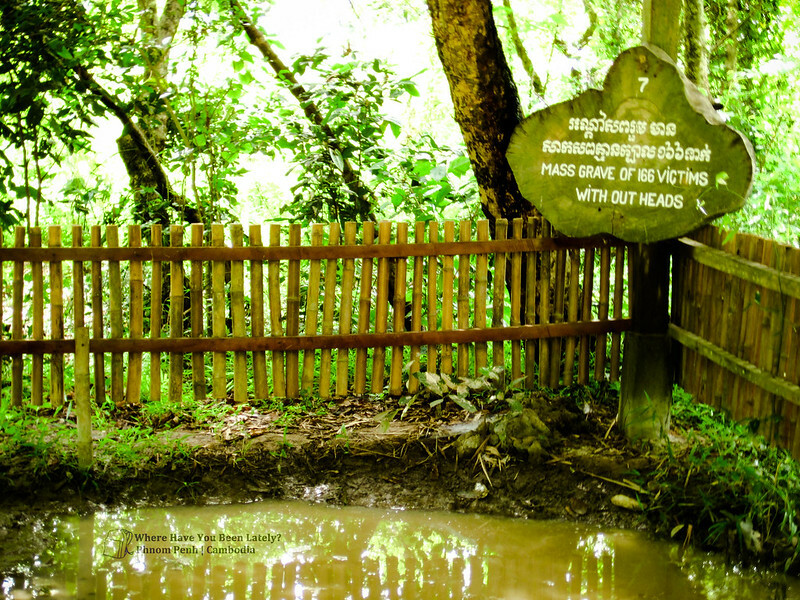 Stop 13 Mass Grave : 166 Victims without heads — Headless bodies of 166 Khmer soldiers who were suspected of treason and asking for help from the Eastern Zone of Cambodia lie here. Vietnamese head, Cambodian body. 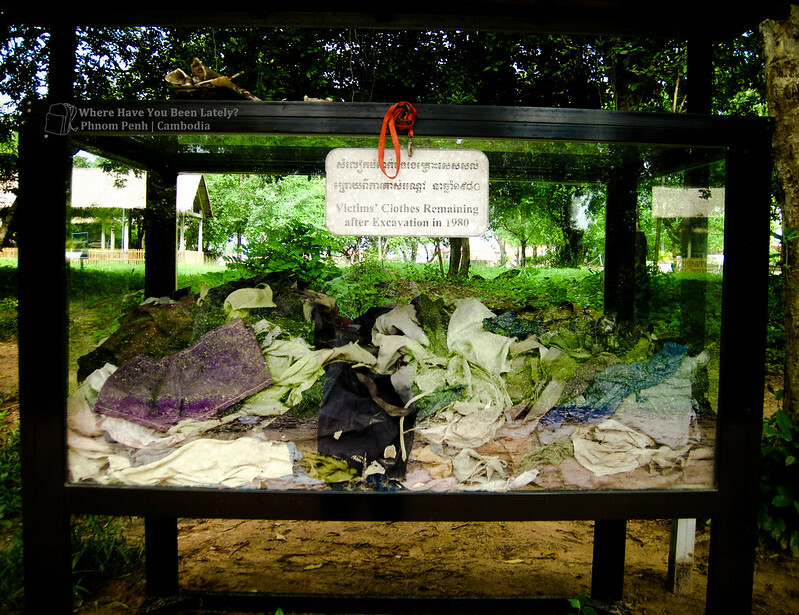 Stop 14 Glass Box : Victims’ Clothing — You will not only see clothings of the victims here in this glass box but some of the strips of cloths or cords used for murders. 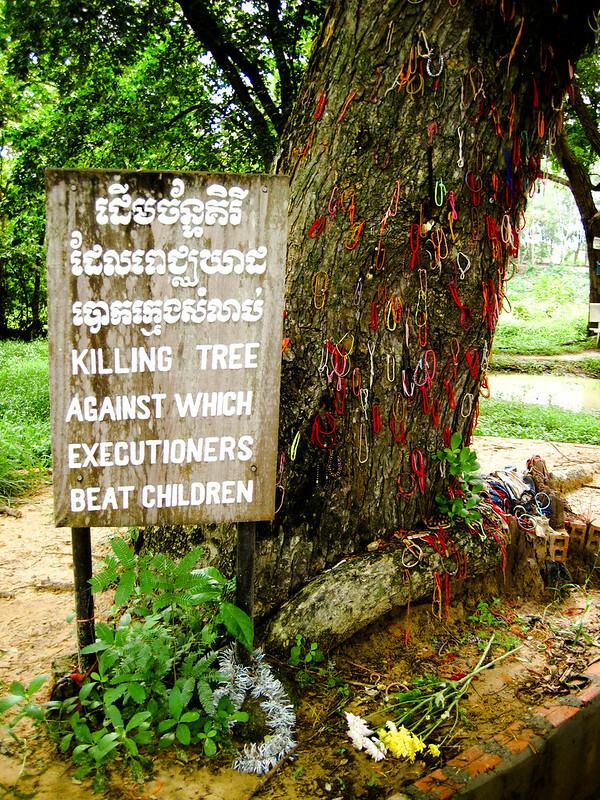 Stop 15 : The Killing Tree — To dig up the grass, one must remove even the roots. No one were spared, even babies as young as 8-month-old. Grabbed by their legs, bodies were smashed into this tree then threw into the pits. 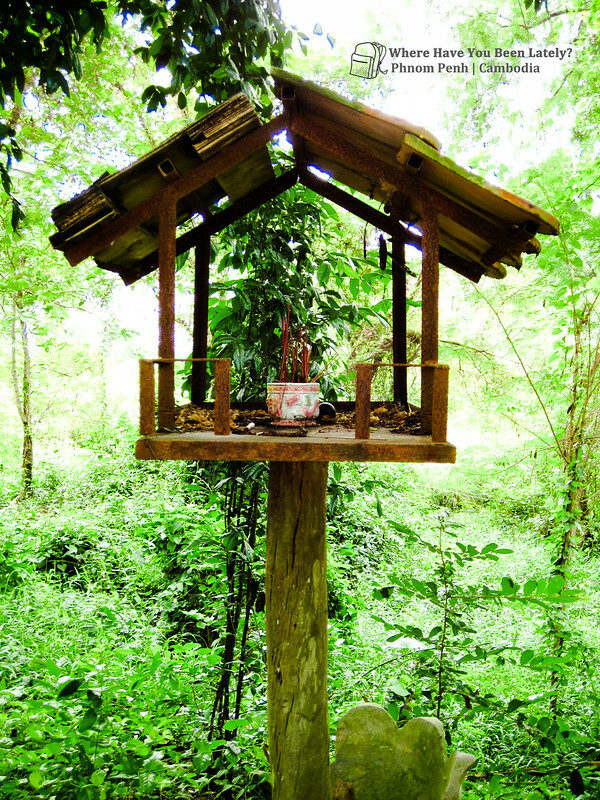 Stop 16 Glass Box: Spirit House / Victims’ Bones and Teeth — Seemingly bird house, a Spirit House was built in this area as a tradition of paying respects to those who perished and as a dwelling place for the spirits who have not found peace. 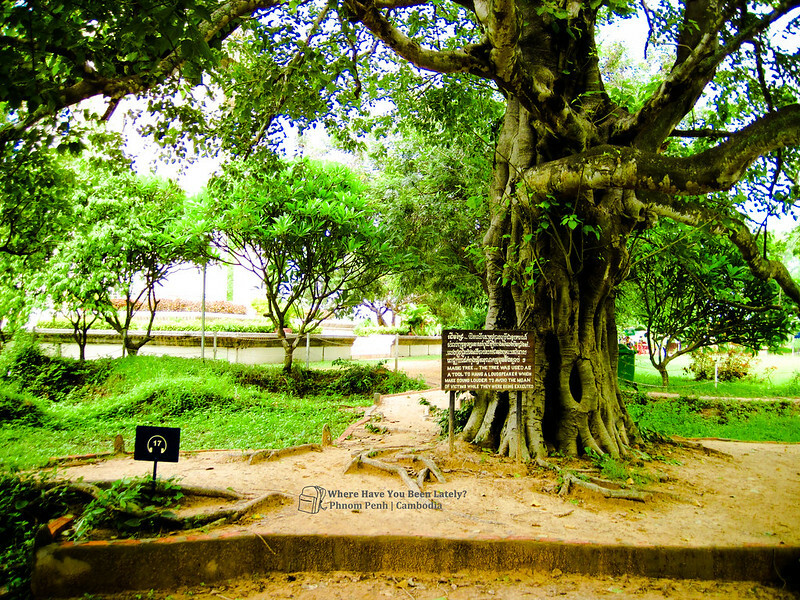 Stop 17 : The Magic Tree — The only magic that happened here was when the revolutionary songs played in loudspeakers magically concealed the cries and screams of those being murdered. 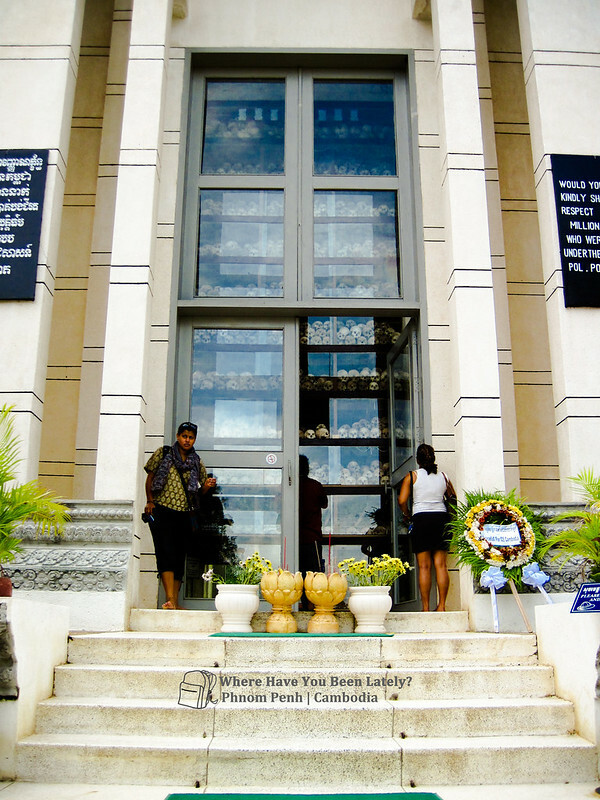 Stop 18 : Memorial Stupa — This houses some of the bodies that were exhumed over the past years. A commemoration ceremony is held every 20th of May in this stupa. 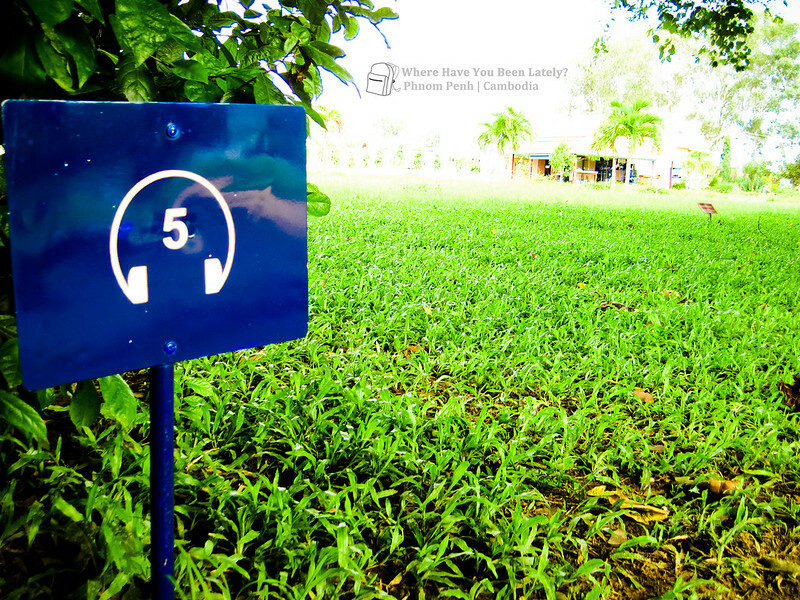 There are other parts of the audio guide like survivor stories, facts about Pol Pot and his Khmer Rouge, confessions of former Angkar soldiers, and a lot more that you may also find interesting. 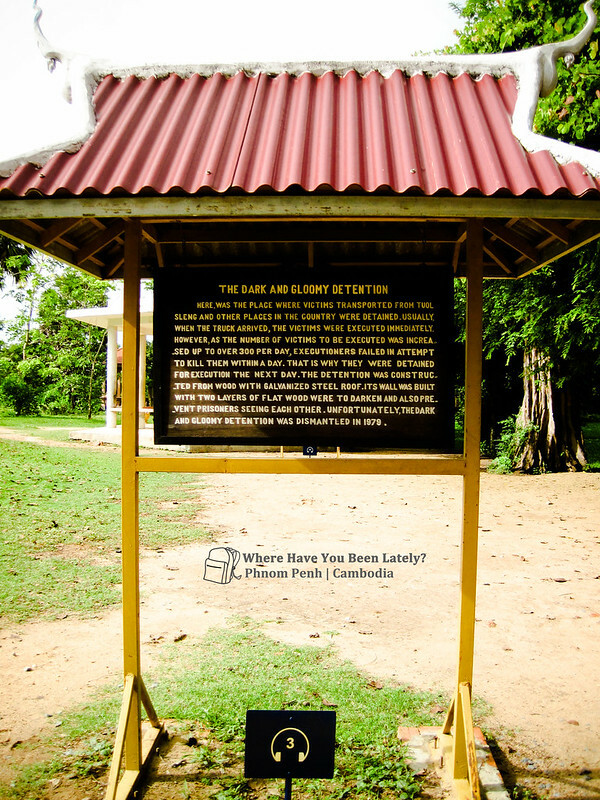 They can give you a better understanding of what and how everything transpired in The Killing Fields. 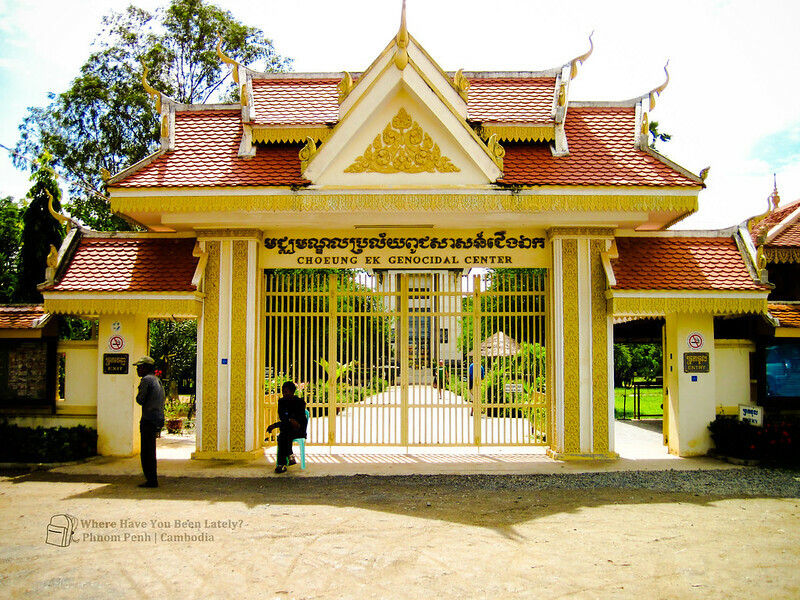 I just helped you save $2 as entrance fee in this genocidal center but blame me not for not being able to witness the historical Killing Fields of Cambodia first-hand. thanks for the virtual tour of this place! 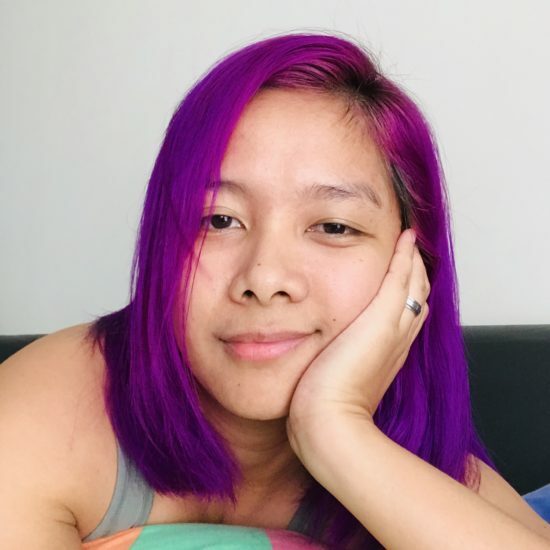 dumiretso na kami ni jana to SR kasi. pero tumitindig pa rin balahibo ko every time I read about the war and its effects to the people.